Own experiments are required to learn how to get useful result, while fundamental principles of band combination are explained many times in countless sources with different level of complexity. Another good paper on band combination visualization: Displaying and Stretching 16-bit per Band Digital Imagery from USDA FSA Aerial Photography Field Office. Gives perfect illustration, why understanding is required. Could these, with bounding boxes be added to the imagery index in JOSM and other editors? @Skippern - my images are in the OSM Editor Layer Index but i do not manage to keep them completely up-to-date there so you either have to enter the layers manually or wait until an update is made. in addition to the Editor Layer Index - this way you have the individual layers and an up-to-date version of the aggregate of all layers. Today I updated the “FAQ” wiki page http://wiki.openstreetmap.org/w/index.php?title=FAQ&type=revision&diff=1328469&oldid=1310918 with “what imagery you could use” (just changing MapQuest to Mapbox). Perhaps it would make sense to say “… and there may be other local imagery sources available for you within your editor”? This looks like great imagery for remote areas … however, most people use maps in crowded areas, and most people also map in crowded areas. So I wonder how useful this is for OSM as a whole. In contrast to some high-res, recent and accurate imagery of a small crowded area we might get by lobbying some (local) governments. I think i made it pretty clear that the primary purpose of this is to increase awareness that such imagery exists and can be used in the hope that this prevents mappers from wasting their time with 15 year old images in Bing and Mapbox. This happens to apply mostly to remote areas. The availability of up-to-date open data satellite imagery however is not limited to those areas. Another advantage is to have up-to-date imagery for every part of the world, up-to-date here usually meaning a few weeks old, in difficult cases sometimes a few months. 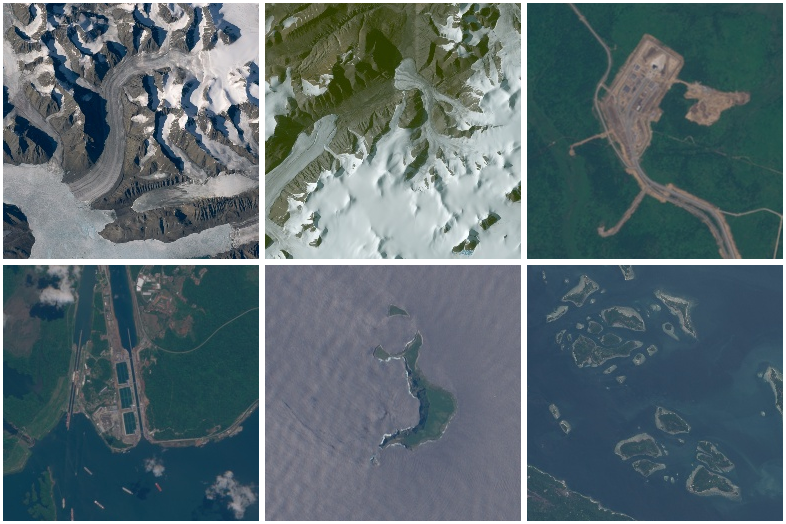 Age of high resolution imagery in Bing, Mapbox or from local government sources is usually at least about 2-3 years. I think i demonstrated this quite clearly with the Panama and Vostochny images. And yes, most use of maps and most mapping takes place in crowded areas but where maps are most needed are usually the less crowded parts of the world. Or in other words - in a European or North American city a map is a luxury, in the remote parts of the world it is frequently a necessity. Sentinel 2 data actually can be used to update populated places too. For example, in Moscow, Russia many construction sites can only be kept up to date by using this kind of imagery. Active logging, which goes on around Moscow, also can’t be traced from archive WorldView imagery, since it’s several years old. Speaking of lobbying, it’s it might be realistic in case of place where you live, but many countries don’t have that kind of luxury (or people, who have will and time to do that).